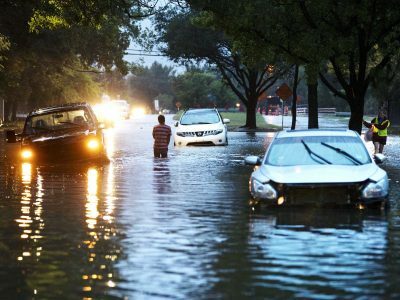 Houston and surrounding areas face a likely public health disaster because of huge amounts of toxins released into the air and water, turning the area into a dangerously polluted swamp. Two Explosions at Flooded Arkema Chemical Plant in Texas, Evacuation Zone, Devastating Consequences? What made Harvey so brutal? Scientific studies have shown for quite some time that Anthropogenic Climate Disruption (ACD) amplifies the impacts of hurricanes by causing them to have larger storm surges, higher wind speeds and greater rainfall amounts. All of these are driven by the amount of heat in the oceans.